A devised theatre piece to mark of the 10th anniversary of the passing of Kuo Pao Kun, a pioneer of Singapore Theatre. 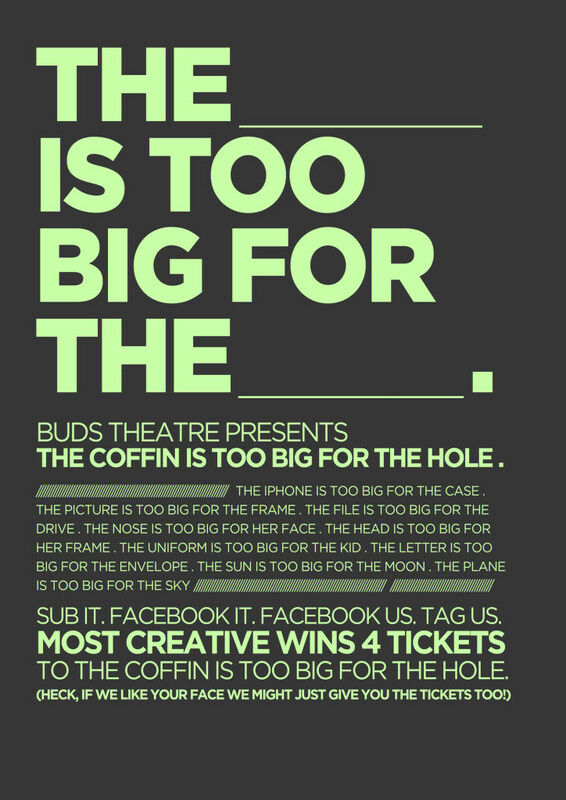 The young graduates of the 2011/2 Buds Youth Theatre programme will work with playwrights Cheryl Lee and Lucas Ho to celebrate the influence of this great practitioner on their lives by asking the question, is the coffin still too big for the hole? This original piece of theatre will highlight how society has changed since Kuo’s landmark work The Coffin is Too Big for the Hole was first staged almost 30 years ago.